and seeks opportunities to drive growth. 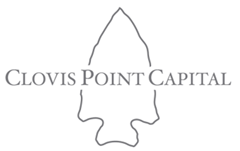 Founded in 2014, Clovis Points investment strategy seeks to maximize value. Our approach is innovative, effective and productive. Clovis Point focuses on investing in and growing businesses in the lower end of the middle-market. We assist our portfolio companies by leveraging our own experiences and extensive professional networks. Clovis Point professionals are actively working with the management teams of our portfolio companies to develop both organic and inorganic growth strategies that drive value creation. Fill out our contact form to learn more about our services and contact our team. For additional information, send us an email and we will respond promptly.